Good evening, everyone. I don’t have a ton of time, but I wanted to drop by and talk about the wild weather for the upcoming Christmas weekend. From heavy rain and possible flooding, to some light snows, it’s a busy one. 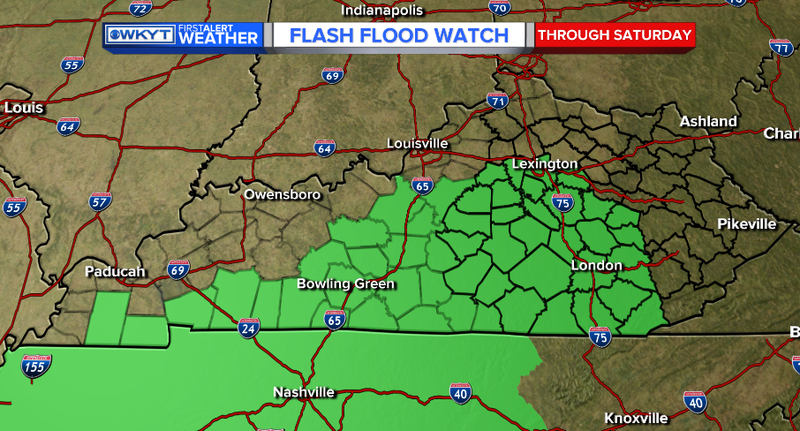 Watch the creeks and streams, especially Friday night into the first half of Saturday. 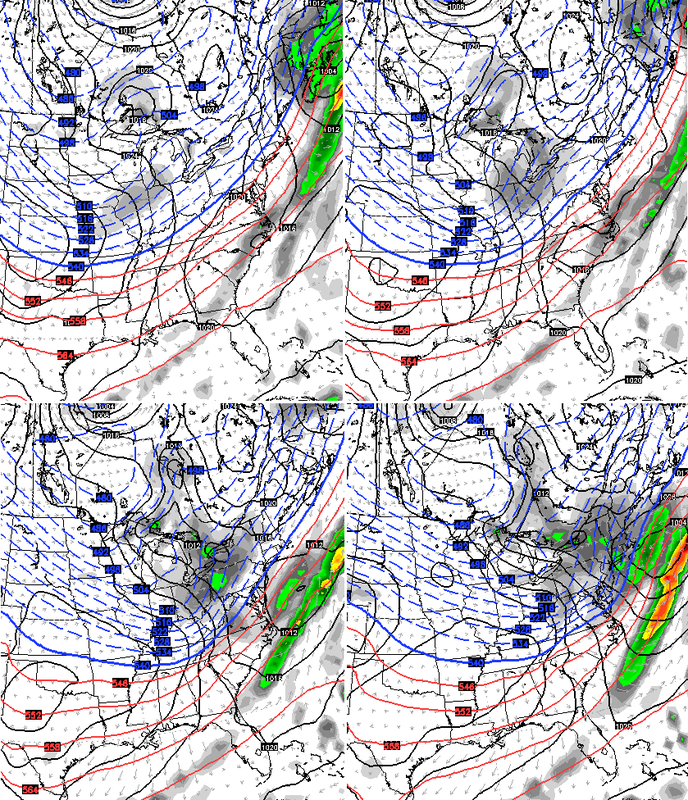 Cold air sweeps in, leading to a massive drop in temps from northwest to southeast. 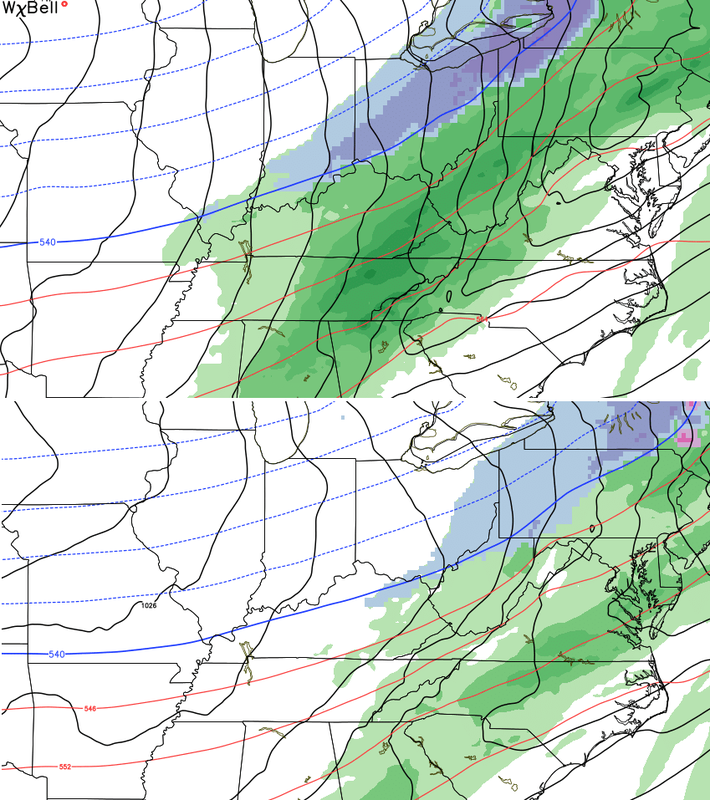 Some wet snows will try to mix in across the north and northeast late in the day. 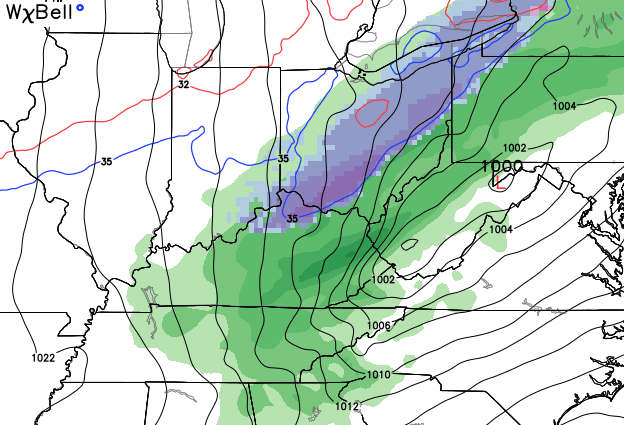 Even the NAM is now picking up on the Christmas Eve light snow. I will have another full update later tonight. Have a good evening and take care. Good afternoon, folks. 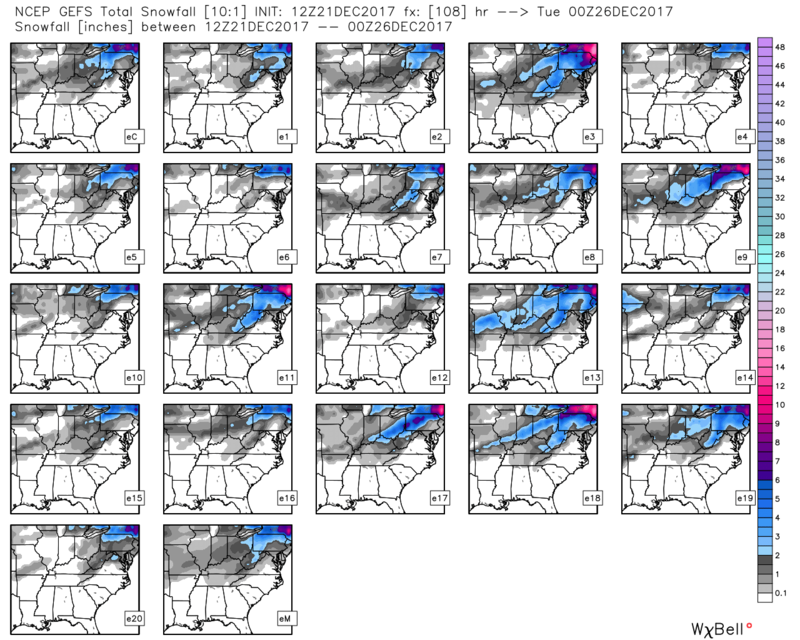 The GFS Model has totally caved to a similar solution to what the European Model has been saying for days: Light snow sweeps across the state Christmas Eve into Christmas Morning. We will get to that in a moment, but we have some wild stuff coming before then. 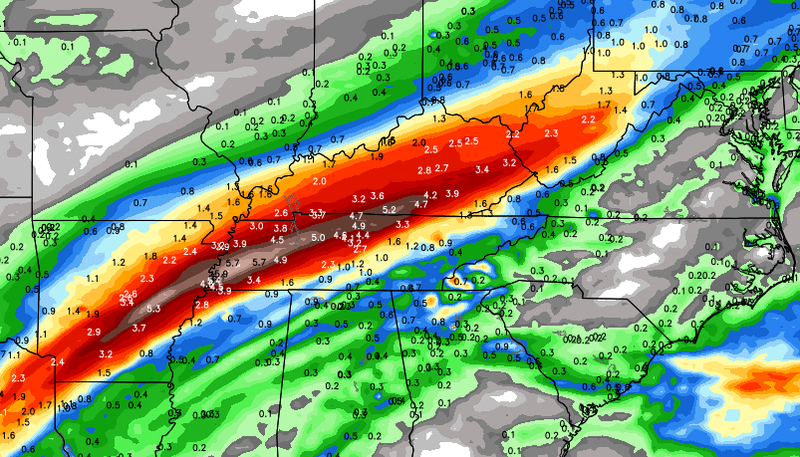 That can be enough to cause local high water issues Friday night and early Saturday. Let’s keep a very close eye on that. 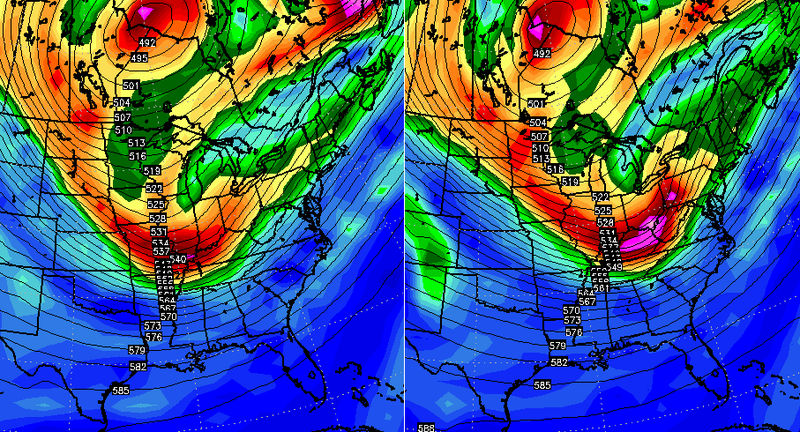 The Christmas Eve system has been on the Canadian and European Models for some time now. 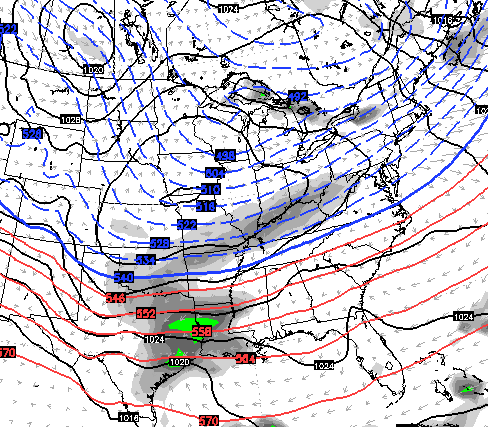 The GFS had this several days ago, then lost it entirely. 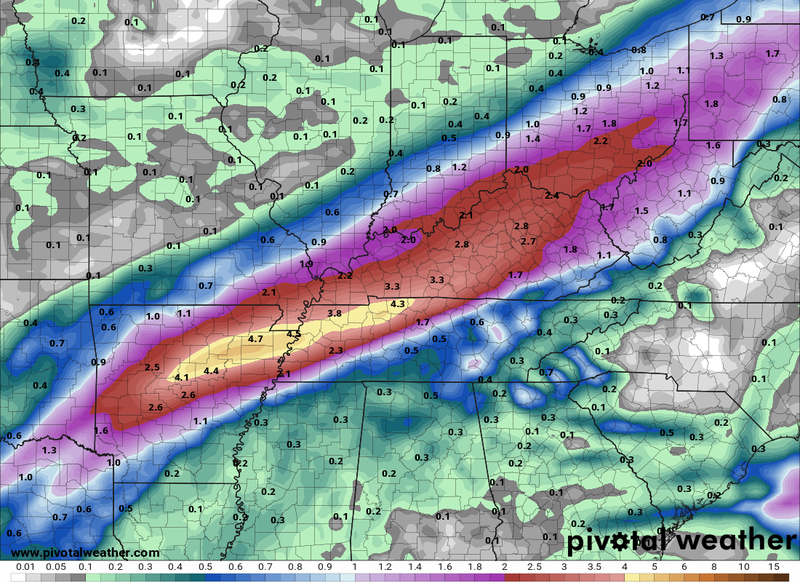 Again, that may still get a little juicier over the next few days. 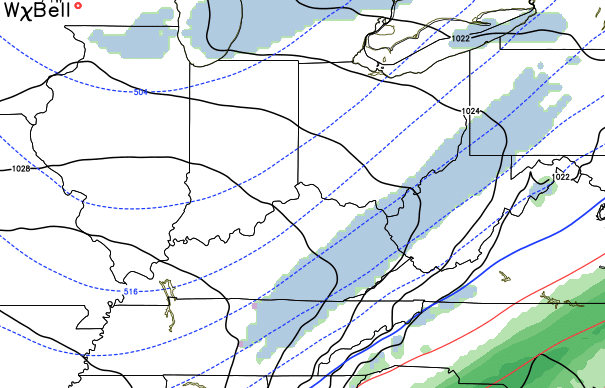 At the least, it appears we have light snow and flurries coming for Christmas Eve and Morning. We also have the chance to put snow on the ground during this same time. Ho Ho Ho! 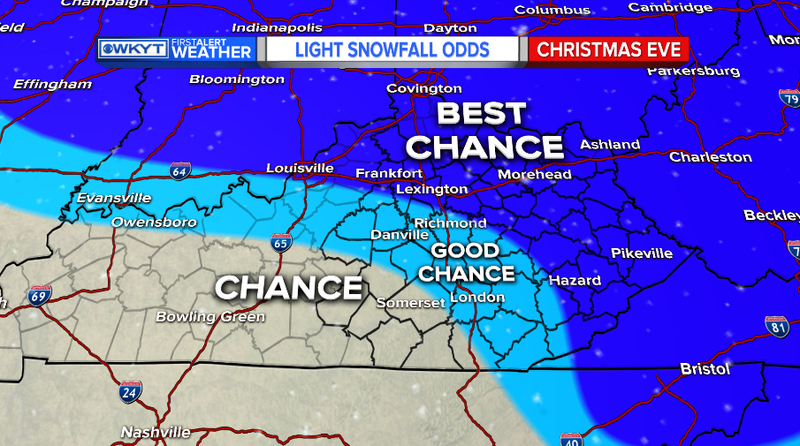 I will update the Christmas Eve snow threat on WKYT-TV starting at 4. You will also get a fresh update on here later this evening. Good Thursday, everyone. 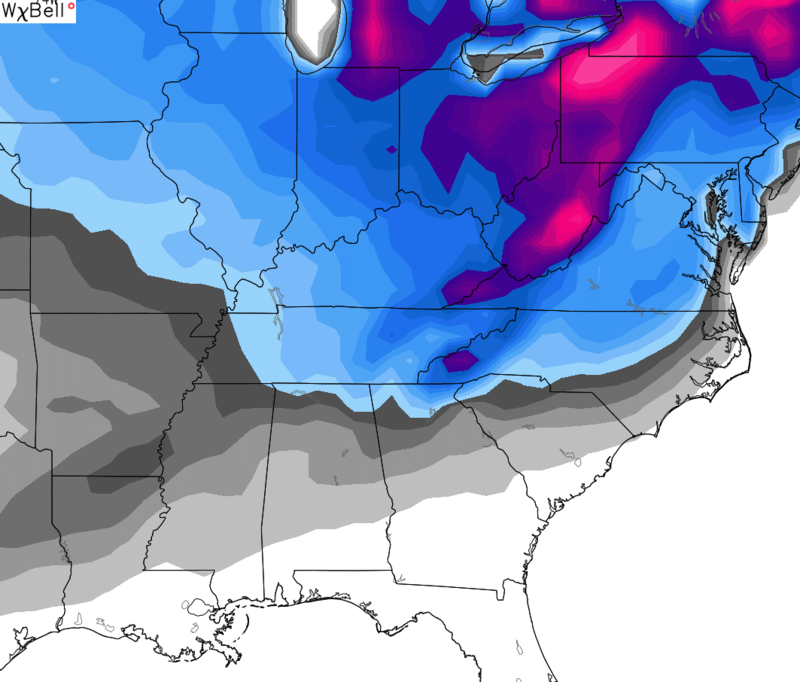 We are just about to the big Christmas weekend and it’s looking more and more like Mother Nature and Old Man Winter are going to combine to cause travel problems. 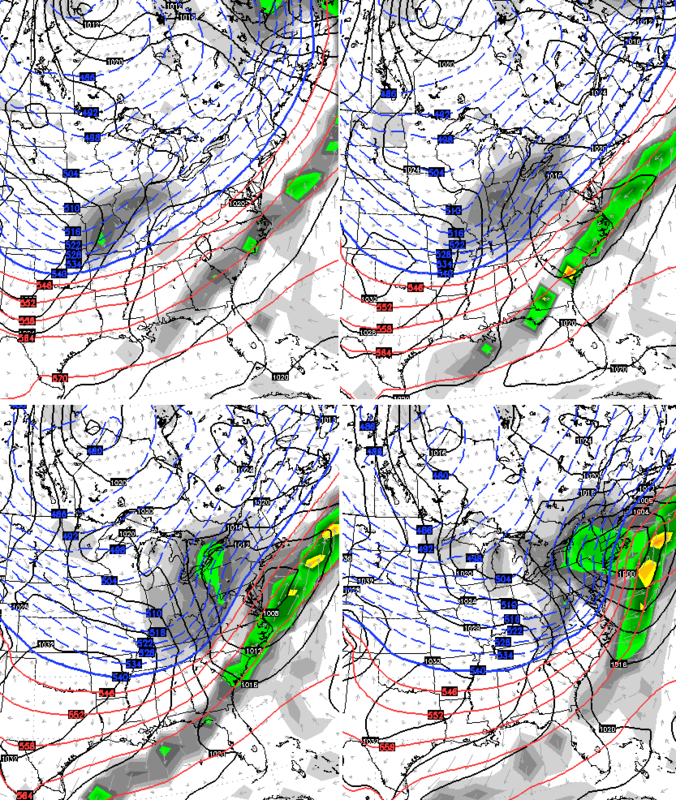 From a local high water threat to the potential for snow, the big weekend has it all. 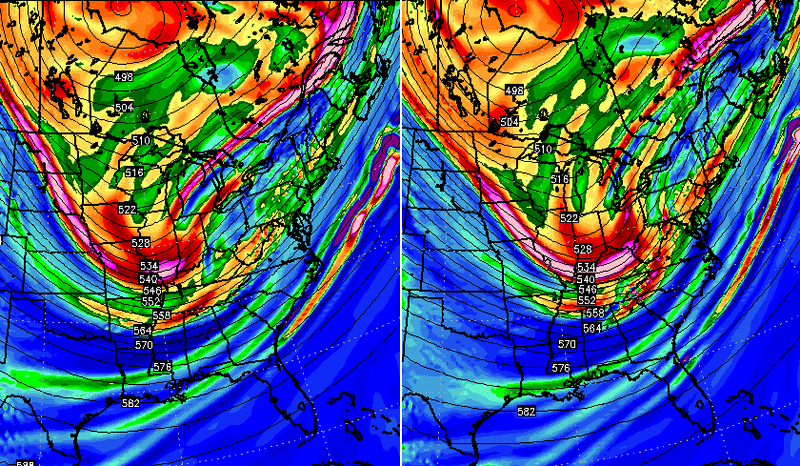 That includes an epic battle between the GFS and European Models. A cold front works into the region on Friday and slows down. That’s when a wave of low pressure develops and works across the state, bringing very heavy rains through early Saturday. 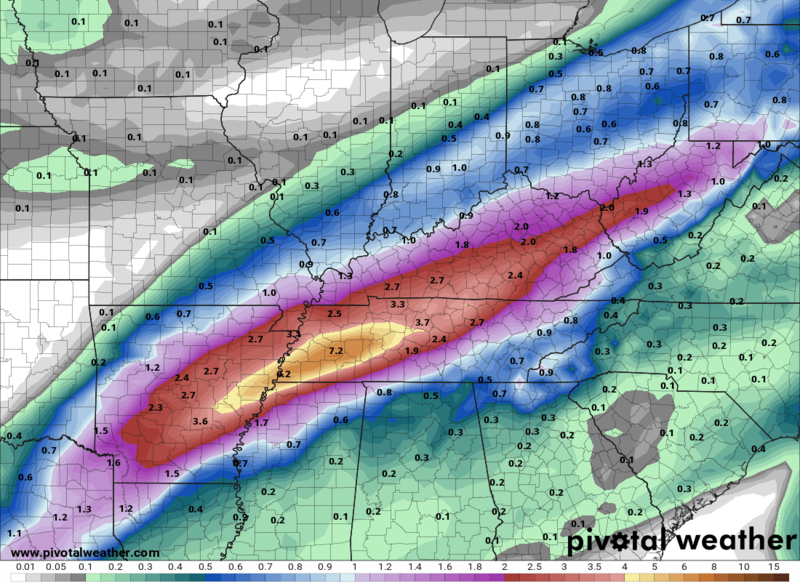 The potential is there for a general 1″-3″ rainfall for much of the state, with locally higher amounts. 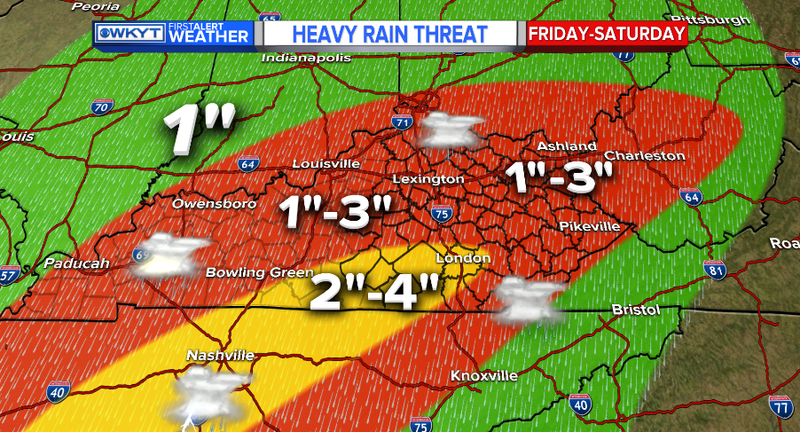 Those numbers would be enough to cause high water issues to develop Friday night into Saturday. That’s something we are going to have to follow very closely. 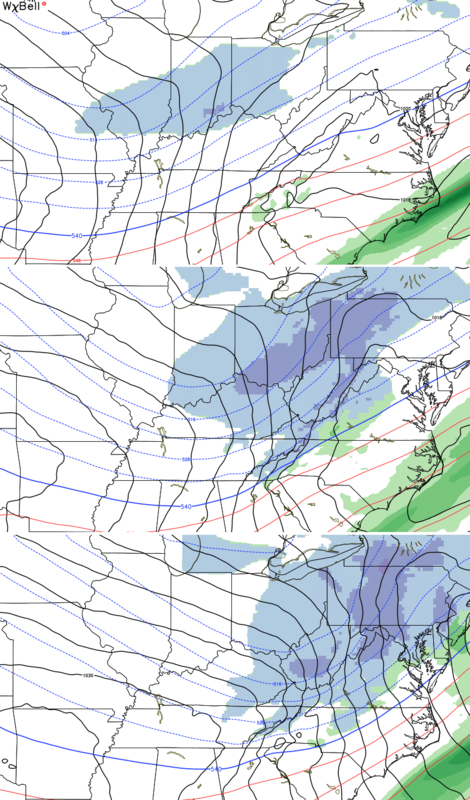 Colder air continues to pour into the region behind the departing rains, setting up an amazing model battle between the European and GFS models for Christmas Eve and Day. 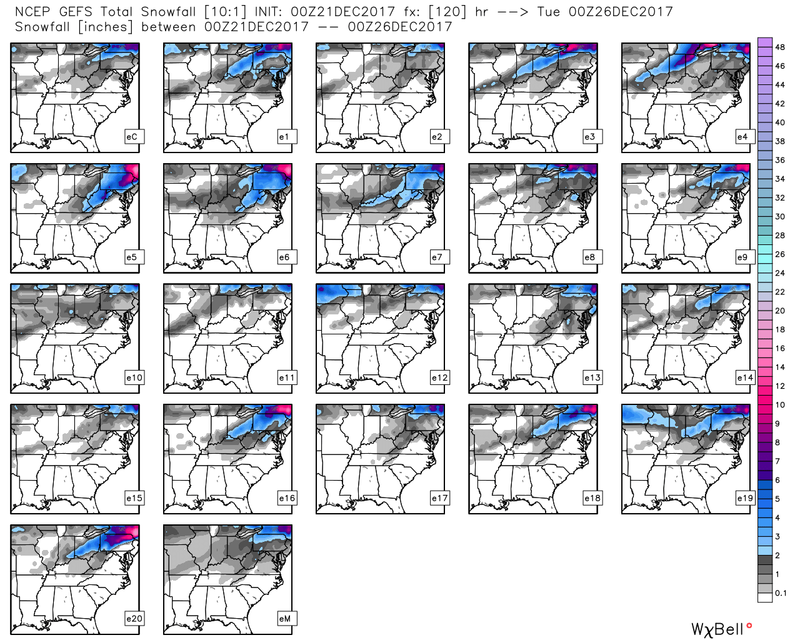 The European has been steadfast in showing a swath of accumulating snows across our entire region, while the GFS refuses to show anything. That’s a lighter brand of snow than what the European Model has, but the theme is similar. Moral of the story, the option of Christmas Eve and Christmas morning snows is still very much alive. Let’s see what the models show later today, and if we end this model fight once and for all. I will have updates later today, so check back. Have a great first day of winter and take care.